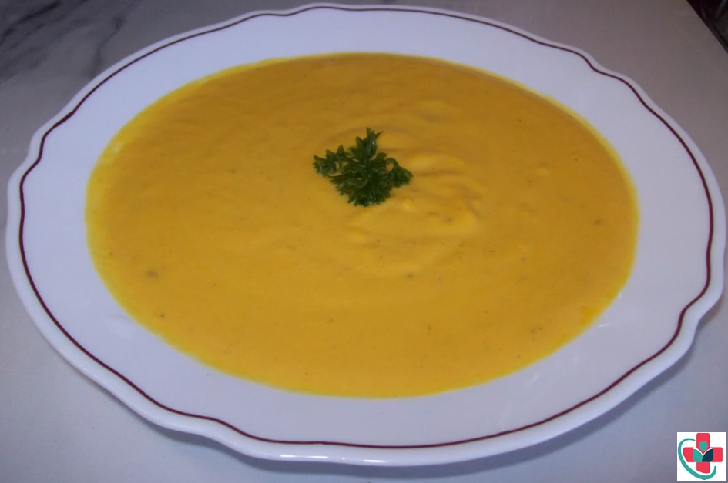 Here is a delicious and super easy soup for those colder nights! Wonderfully easy and full of earthy flavors, this one is certainly a keeper! ⏩Take a pan, put it on medium heat and add your pumpkin pieces. ⏩Add enough hot water to cover up the pumpkin pieces, onion, and garlic and bring it to a boil. ⏩When the pumpkin starts boiling, put a lid on, lower the heat and simmer for 15 minutes or until the pumpkin is soft. ⏩Drain all the water, put it back on medium heat, add your milk, butter, and mixed dried herbs and bring it to a boil. ⏩When milk starts to boil, put your lid on, lower your heat and simmer for 5 minutes. ⏩After 5 minutes, turn the heat off and blend the soup, either in a blender or using a stick mixer. ⏩Put the pumpkin soup on medium heat, and bring it to a boil. ⏩While waiting for your soup to boil, get the flour mixture ready. ⏩Add the flour and water together and mix it to a smooth consistency. ⏩When the soup starts boiling, at salt and pepper according to taste. ⏩Add your flour mixture, mix well to combine, simmer for 1 minute and turn the heat off.